I don't often read anthologies as they are inevitably a mixed bag. It takes a skilled editor to bring together a collection which is at once cohesive and of a consistently high standard. 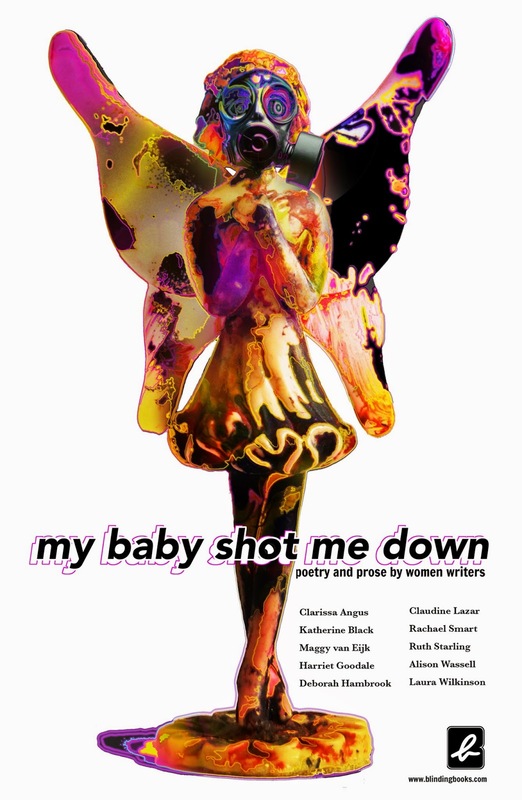 Richard Penny from Blinding Books has done a reasonable job with these assorted writings from six women: Clarissa Angus, Claudine Lazur, Katherine Black, Rachael Smart, Maggy van Eijk, Ruth Starling, Harriet Goodale, Alison Wassell, Deborah Hambrook and Laura Wilkinson. Broadly speaking the collection deals with family relationships and loss, whether it's the elderly man who still misses the sweetheart he lost while he was away at war (Goodale), or the young girl who listens to her father's stories of Hiroshima and Nagasaki (Starling). The writers featured in the book are good, though it is clear that there are varying levels of experience. Rather than dwelling on the writers I did not enjoy as much, it's worth mentioning the ones who stand out in this collection. Smart's story, 'Tissue Atlas' uses the scars on the skin of her protagonist as a way to describe the tragedies of her life in a story which demonstrates her skill with imagery. Equally powerful, Wilkinson's two longer pieces illustrate her ability to write the tragic turn that all good short story writers have mastered. Both in 'Buried' and 'Whispering Wall', she turns the stories into something complete and dark within the last paragraph. Far and away the best poetry in the collection comes from Maggy van Eijk and I'm excited to hear more from her. Her work reminded me how much pleasure I get from reading great poetry. Her striking images are contrasted with those little moments of beautiful profundity. She captures the hazy post party morning after a night in London in 'The Wanting' which is about the existential nature of falling in love. Here is a poet with intelligence and creative flare. I found this to be an enjoyable reading experience and will certainly be investigating a few of the writers included.